These words, spoken by James and John, are words that many people feel like saying at various times in their lives. Perhaps you can relate. These Apostles spoke this way because Jesus was not welcomed in a Samaritan town they had just entered. He wanted to dine there and the townspeople rejected Him and His Apostles. 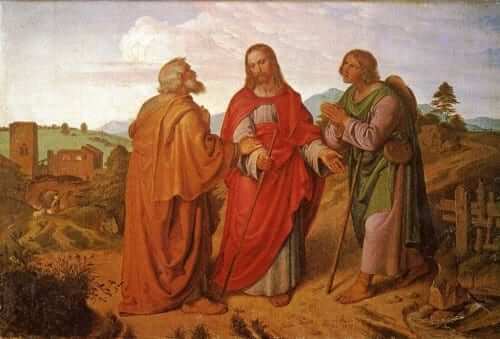 As a result, James and John were hurt and angry and wanted to call down the wrath of God upon that village. Whenever we experience hurt in life, it’s understandable that we feel this way. We tend to want justice and revenge and want those who hurt us to pay for their sin. But Jesus’ attitude was much different. He rebuked His Apostles for their desire of wrath and moved on not allowing this rejection to affect Him. Rejection and other forms of hurt caused by others can be difficult to let go of. It can easily sit within our hearts, acting like a mold that slowly grows and takes over. When this happens, you may have a very hard time forgiving and letting go of the hurt. The best way to approach the hurt caused by another is to immediately act as our Lord did. It must be let go of right away and you must move on. God is the only one to issue vengeance, not us. When we fail to do this and harbor the hurt feelings, they ultimately do us more harm than anyone else. Reflect, today, upon any feelings of anger or hurt that you still harbor in your heart. Make the conscious choice to forgive and move on. Forgiving does not mean that you act as if the hurt caused you was okay. On the contrary, an act of forgiving another is also an acknowledgment that there was wrongdoing. Forgiveness allows you to keep that hurt from doing you more unnecessary damage. In the end, it is also an open invitation to the other to repent and reconcile with you. Leave vengeance and wrath to the Lord and seek to keep your heart at peace. Lord, I pray for the grace to forgive. I especially forgive those who have hurt me the most and offer them to You. Free me from any feelings of vengeance I harbor and help me to love with Your pure and merciful heart. I love You, dear Lord. Help me to love others as You love. Jesus, I trust in You.